Get it while it’s hot! 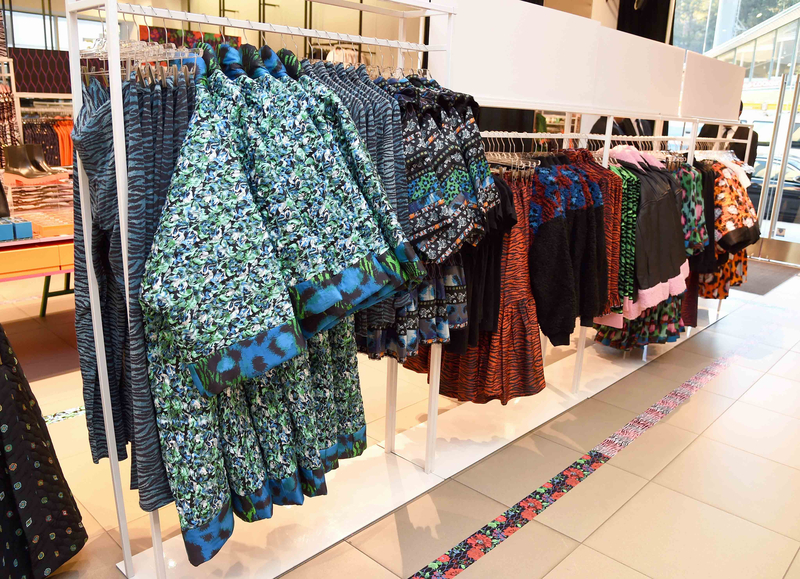 The highly coveted Kenzo x H&M capsule collection hit the brand’s website and 250 stores nationwide on Thursday, November 3, but didn’t stay there for long. Opportunistic shoppers who were able to get their hands on pieces like the $59.99 zebra-print jeans or the $299 overall dress ended up posting the items on eBay for prices as high as $1,700. But despite mass frustration, H&M seems to view it all in a positive light. “The response to the Kenzo x H&M collection has been incredibly positive,” H&M tells Stylish. “There was a big rush online during the first few hours, and some had to wait in a queue because of the immense number of customers logging on at the same time. 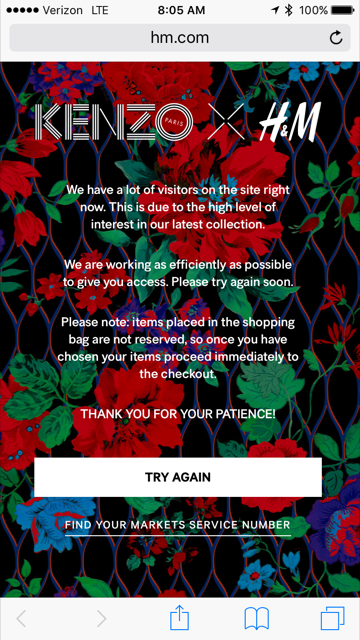 We are extremely proud to be able to offer all of our customers all over the world the Kenzo x H&M collection.” Some of those customers didn’t want certain parts of the collection, though. “I SWEAR TO GOD, IF I GET ON THE SITE & THE ONLY THING LEFT ARE SOME WEIRD GLOVES, I AM GOING TO LAUNCH THIS LAPTOP,” @Neon_Bambi tweeted on November 3. 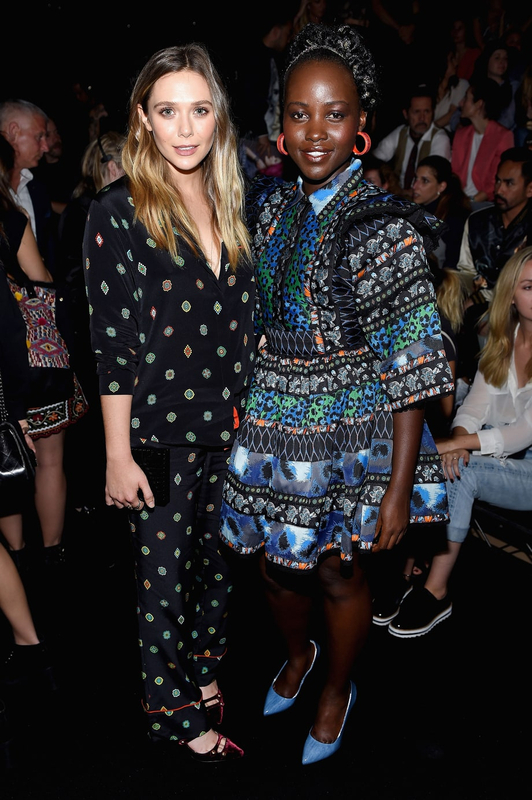 H&M, which has teamed with high-end brands like Balmain to offer affordable options for fashion lovers worldwide, held an exclusive party for the likes of Lupita Nyong&apos;o, Sienna Miller and Elizabeth Olsen in New York City on October 19. And on the opposite coast, stars including Christina Milian and Selma Blair hit a November 2 fete in West Hollywood, where attendees could scoop up the goods before the masses. But now, frustrated shoppers are blaming those events for the engorged price tags seen on the online marketplace. Soon after, the clothes that consumers attempted to place in their carts were seen on eBay with doubled and tripled prices. “@hm @kenzo @eBay $162 for a $59.99 crew neck… do you see the kind of trash you send vip invites to?. #KENZOxHM,” @Taz0tealeaves tweeted on November 3, along with a photo of a sweatshirt printed with a tiger. Shockingly, regular Kenzo clothing comes at similar prices. The Kenzo Menu Sweatshirt is available for $181.99 on saksoff5th.com, compared with the H&M option that the tweeter mentioned.